Congrats to whatever it is! And I am in on the jam swap! Oooh sounds exciting! I'm with Lori! Super intrigued. 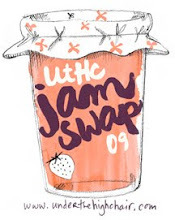 Looking forward to seeing all the jam swap entries. I've been wanting to try canning for a while now! I'm also shocked & saddened about Gourmet. So hard to believe. 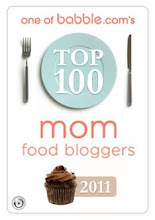 Also, though I've not been a Gourmet reader, I want to say I can feel your pain on this. In the past year, two of my very, very favorite magazines have folded (Cottage Living and Wondertime) and I truly mourned the passing of each. Looking forward to this new exciting thing!! Congrats on your tweeting recognition! Very excited to hear what's in the works for you! Lots of luck with whatever it is! Ooh, I am so not good with suspense! And somewhere in there you have to sell your house and move! Congrats on all the attention! I am so sad about Gourmet Magazine and you have us on pins and needles. Can't wait to hear about it. Ooooh - a mystery - I'm excited to hear all about it! Everybody's sad about Gourmet. A lovely magazine..in all ways. Congratulations on your Twitter recognition! Can't wait to hear about your new exciting project! Congrats! I can't wait to hear more! I'm very, very sad about Gourmet. I was in shock when I first found out. hmmm! sounds interesting, can't wait until you post about it. oh, and congrats about being a top-tweeter!